Google is showing its Modular Phone prototype in the upcoming Project Ara Conference in January 2015. Modular phone is a concept that anyone can build a smartphone with different independent modules like camera, processor, display etc.. 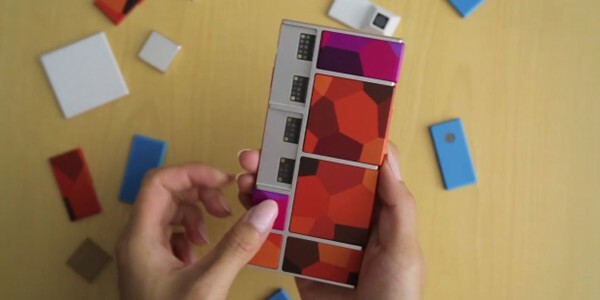 In a newly released video shows a prototype of a device using Google’s Project Ara modular phone concept that’s being developed by a Boston-based contractor, NK Labs. The video was released on the same day Google revealed plans to hold two Project Ara developer conferences in January. The best part of Project Ara is that a customer can make a smartphone with what they need or a customer can upgrade a part of a smartphone with needs. Different smartphone components are also cheaper than a full smartphone. Also a user can control the budget of buying a smartphone or upgrading a phone to a new level of processor or memory. The prototype you can see in the video is Spiral 1, modules include a USB charger, LED module, application processor and speakers. The video demonstrates the device booting up, running what looks like a fairly old version of Android (Ice Cream Sandwich?). It doesn’t appear to be the smoothest experience at the moment, though this is an early prototype. The next prototype, Spiral 2, will have chips made just for the device by Toshiba, according to NK Labs. That will be the version that will get shown to attendees at the Project Ara Module Developers Conference events in January. The Project Ara is in its early stages so that any official part of Android is not associating with that. The team still doesn’t have an official launch date or even a final price, though the team is aiming to make Ara as cheap as possible. In the coming months we can see much excitement in Project Ara. Google is presenting Project Ara conferences to so many different places makes it clear that they are taken this project very seriously and are keen on attracting developers from all across the globe. For those interested in attending, a developer need to pay a $25-$200 fee and the deadline to apply is November 26th.